If you’re passionate about fitness, you know how important maintaining good overall health is to achieving your athletic goals. 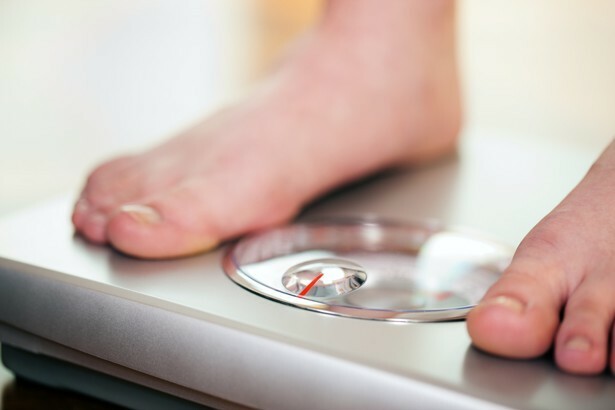 A strong metabolism, efficient immune system, and well-nourished body are key when you’re hoping to log significant hours at the gym – but with all the toxins we’re exposed to in our modern lives, we end up feeling lethargic, irritable, and bloated. And no one wants to go to the gym feeling like that. Stress, animal protein, alcohol and caffeine, and processed foods can wreak havoc inside our bodies – but engaging in a healthy detox can help get you back on track and ready to tackle new fitness obstacles. There are a number of reasons why detox is such an important, healthy practice for everyone, but athletes in particular will find that participating in a regular detox is an essential activity. Detox promotes healthy eating habits. 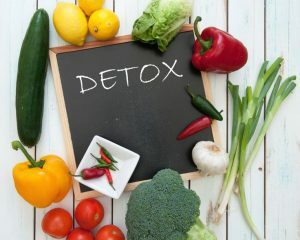 If you’re the kind of person who likes to hit the gym to make up for a bad diet, detox could be just what you need to fix your eating habits once and for all. Most detox diets will require you to reduce your intake of unhealthy foods and replace them with more nutrient-rich options. While you can always return to your regular diet after the detox is over, most people find that after the initial withdrawal period is over, it’s easier to find the motivation to maintain the new healthier eating plan. 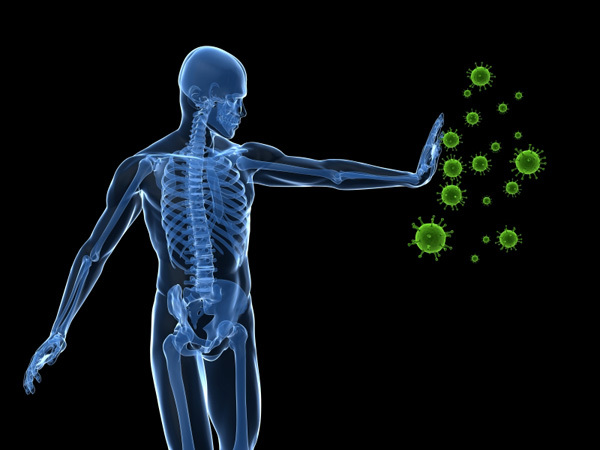 Detox stimulates the immune system. Your body will be better prepared to fight off illnesses and infections that might keep you from working out with a regular detox. Cleansing your body of toxins and impurities allows your organs to more easily absorb the nutrients you need, and helps restore balance to all your body’s functions. With a stronger immune system, your body will be able to support you as you pursue greater physical fitness – and you won’t need to be as concerned about recovery time or healing after an injury. When you find yourself skipping the gym in favor of spending an extra hour or two in bed, it might be time to think about engaging in a detox. Thanks to the increased nutrients your body will be absorbing, and the healthier diet choices you’ll make during a detox, you’ll find yourself feeling revitalized and more energetic. The detox will also promote enhanced mental clarity, which will increase your energy levels as well. You can maintain this stimulated feeling by continuing with the detox diet and limiting your intake of sugar-rich foods. If your fitness goals are tied to weight loss, detox is a great way to jumpstart the process – help you get past a plateau if you’ve been struggling to get back on track. It’s not just about reduced calories, though. The toxins that accumulate in your body can actually lead to excess fat and mucous, which your body will use to protect your body from the waste. Detox will enhance your digestive system, boost your metabolism, and reduce bloating, as well – all of which will contribute to healthy, regular weight loss. 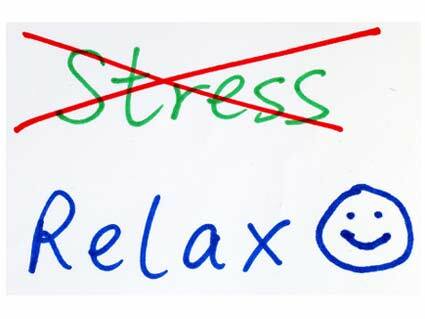 Stress is one of the most toxic things you can do to your body, and regular stress management practices have proven to lower fatty acid levels and even cholesterol in the blood. A detox can help equip your body with everything it needs to fight the impacts of stress, allowing you to feel more confident and optimistic. You’ll enjoy a better mood and more relaxed outlook with regular detox practice – and everyone else in your life will benefit from your calmness, as well. Exercise also helps keep stress manageable, so when you combine detox with your regular fitness regimen, you’ll achieve even greater results. A regular detox can help rejuvenate your entire system – liver, colon, kidneys, brain, skin, lungs, and heart – and brings with it a host of additional health benefits. If you’re aiming to break some personal records and achieve optimum fitness levels, this can be just the thing you need to give you the strength and endurance to get there. Don’t let your health get in the way of your goals – let detox put you on the right path to wellness. 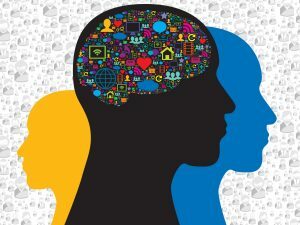 This article was written by Jon Reyes from Steam and Shower UK. He has over 10 years’ experience in writing health related topics and specializes in the health benefits of saunas and hydrotherapy. When someone comes in for an assessment I test their base level of fitness and let’s say this is over a week. And so when someone comes in and they’re training I test their base level of fitness, we’re seeing where they’re currently at, at their fitness level. Everybody’s at different fitness levels and when I train them typically what happens, and this is what is supposed to happen, is they fatigue the body, they lose ATP and glycogen – that’s the energy in the muscle in the body, their nervous system gets fatigue, their immune system gets fatigue. So as they’re training, we’re fatiguing the body. And the changes don’t occur to the body until they go home, they eat, they sleep, they drink water, they recover and what happens is the body recovers at a better state, and the body has amazing ability to adapt to whatever stress you are putting on it and it recovers in the instance that the stress might occur so it’s comparing for the next time that that might occur and that’s what is called supercompensation. And you have to train in this period in a progressive scientific way again to see your base level improved, and that’s why a minimum of 2x a week in a progressive scientific way is needed to see your base level improve. And when I’m talking about a progressive, scientific way, I’m talking about if you ran one day a week and you swam one day a week you wouldn’t get better at either. You have to run at least 2x a week. The real scientific results and studies show that 3x a week is really necessary to improve your cardiovascular. But let’s say it was 2x a week where you ran a mile, the second time that week you either have to run the mile faster to get results or you have to run a little bit longer distance, right? or maybe let’s say you run in a slight incline. There’s got to be some variable change and that’s a progression. So that’s 2x a week. 3x a week you see about 30% more results than 2 x a week, 4x a week we see about 25% more than 3x a week and then if you train too hard, too much, too often in the long term typically what happens is we see overtraining and that is a detriment to your training as well. We don’t want that to happen. Beaufort Fitness: Thanksgiving Day Workout! “Hey! What’s going on? So today I’m going to go over a simple workout routine that you can do in about 10 or 15 minutes that will give you an awesome workout and it will help with cardiovascular and aerobic capacity as well as upper body strength so the way that it goes, it’s going to be 5 repetitions of 3 sets and it’s going to be what’s called speed, endurance with running so you’re gonna find 50 yard space and you’re going to start off at one end and sprint 50 yards building up the speed so you’re going to start off fairly slow and towards the end you’re going to explode as fast as you can for the last 10 yards and then you jog back and then you repeat 5 reps. And then in between, you’re gonna be doing 10-15 reps of pushups, feel free to push yourself up to 20 reps. This really depends on where you are at your fitness level and you’re going to be doing that 3 sets. So I’m going to demo how you’re going to do one of the sprints and then the push ups. Alright, so I’m going to show you 1 rep of the sprints. You’re gonna do 5 reps of that and then going to the pushups. Alright, so here is my starting spot going to get in position, slowly start off and then speed up and then jog back to the starting spot and then repeat that for 5 reps and then in between we’re going to be doing pushups where you do a toe touch each time so faster movements okay depending where you are at your fitness level 10, 15, 20 reps as many as you can do of those push ups with good form. Do 1 set, rest about a minute and then repeat for 3 total sets. 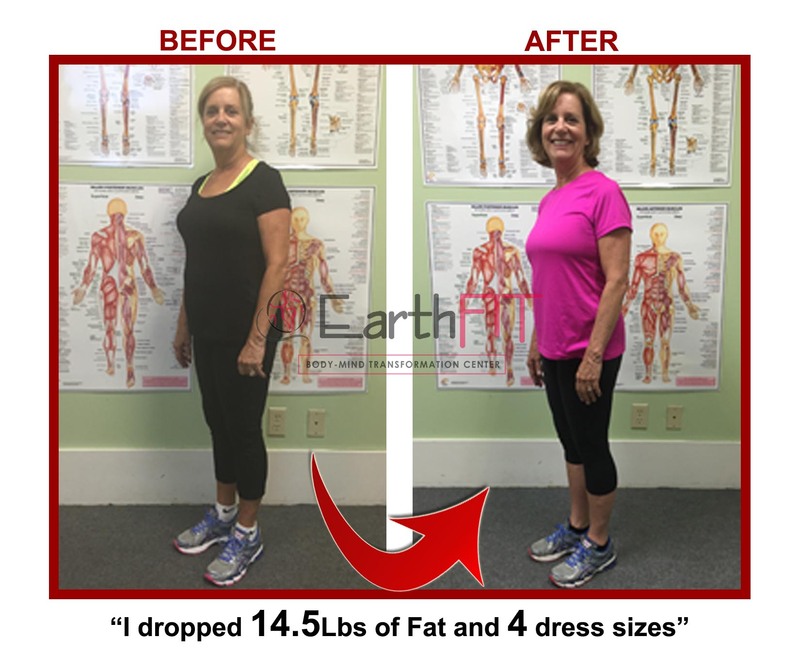 Stand up comedian Christine O’Leary who has lost 132lbs training at the EarthFIT CT location gave a MASSIVE shout out and testimonial to the EarthFIT program ON STAGE! She also did a whole bit about the trainers and training at EarthFIT and it is hilarious in my opinion, especially if you have trained with us. She roasted my sister who runs EarthFIT CT in my hometown of New Fairfield too, lol. definitely do not watch this video. For some reason the video will not upload to youtube. 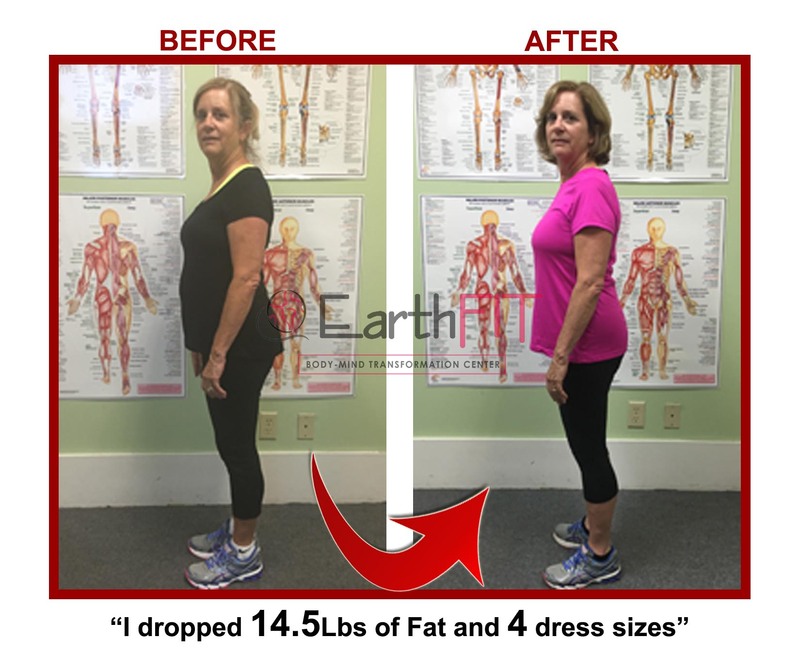 I understand that not everyone is on Facebook but if you are check it out and also make sure to like EarthFIT so you can get real time updates and valuable content. P.S. Our sauna is in and ready at Lady’s Island. I have done a few sessions and I am loving it! I have a Gift for all current clients too! If you are a current client, you will get 4 free half hour sauna sessions to use now through Sept. 15th! Take advantage. You can sign up in mindbody, our scheduling system. Once you sign up, we will send you a video that you HAVE TO watch before using the sauna so that you get the best use out of it! 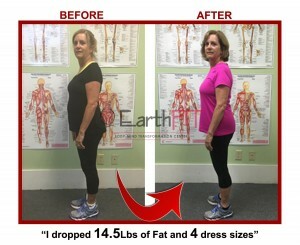 “My life before EarthFIT: I had no energy, I couldn’t sleep, I was really, probably, unhappy. I didn’t look unhappy and wouldn’t walk around with a frown on myself, but the joy that I feel after doing all I can do to be the best I can be it’s hard to put words to that. I just feel so much better and I’m so proud of myself. My children are proud of me, I’ve gone from a size 12 to a size 8 and I look forward to working out here 5 days a week. My life after EarthFIT I have a lot more energy; I’m a lot happier. I’m a lot more content with my life, I feel like I’m looking out for myself for probably the first time in 63 years really put me first, and I’m not smoking and I lost the weight that I gained after I quit and I don’t have fat ankles, I don’t have fat thighs, I don’t have fat arms and strong is the new skinny. I was very skeptical in fact I came here looking for a pilates class, because I heard that was easy way for all women to get in shape, and I felt like an old woman. I prayed every morning before I came in here that it was going to be called off, because the electricity went off, or Ben fell down but now if I don’t come one day I feel like something is missing. It’s really great; it’s made huge difference in my life. I always get told, I’m going to try juicing for fat loss this week. Ok Great! And then next week I ask, what was in the juice? The response is often the same… fruits and more importantly sugars and lots of them. Now I’m not saying fruits are bad… But too much is not desired. Below are 5 quick Juicing recipes, you’ll find that they contain both FRUITs and Vegetables… Enjoy! I’ve personally tried and enjoyed all of these.